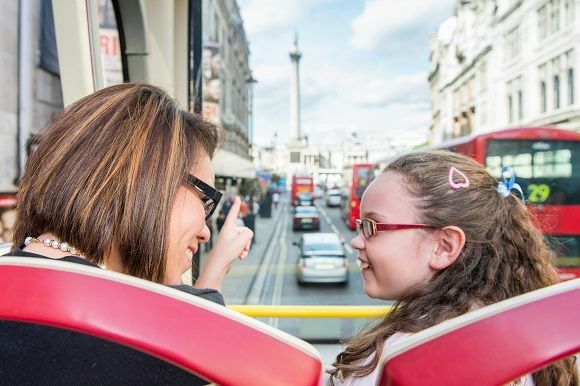 This ticket allows you to see all of London’s top sights and attractions in a day. 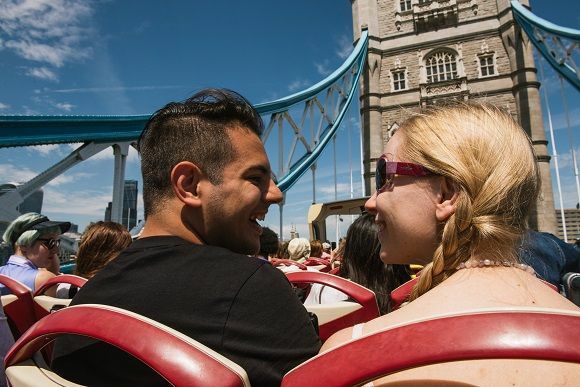 Ride the open top double decker bus for one day, hopping on and off at 47 stops on four different routes located conveniently close to famous landmarks and attractions. 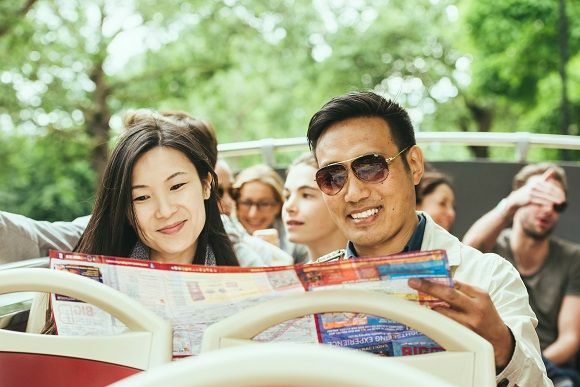 You can hop off the bus to explore as often as you wish, and re-join the tour once you’re ready. 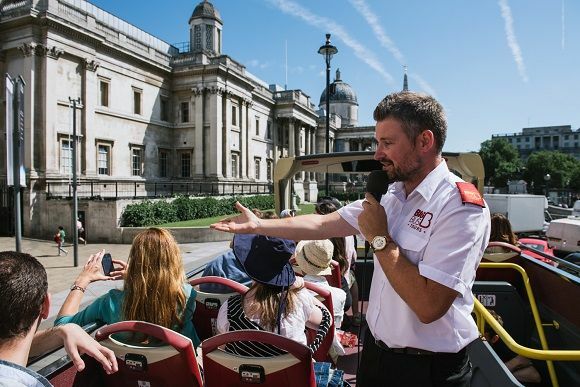 Enjoy a daily free walking tour allowing you to find out more about British Royalty and politics and jump on board a river cruise for a one-way journey from Westminster to Tower Of London or reverse. 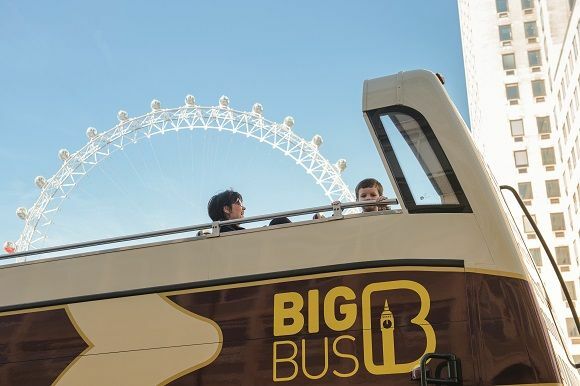 Includes: Hop On, Hop off for one day (24hrs from time of redemption) on any Big Bus Tours’ route in London, daily walking tour during the validity of ticket, single river cruise from Westminster to the Tower of London (either direction). 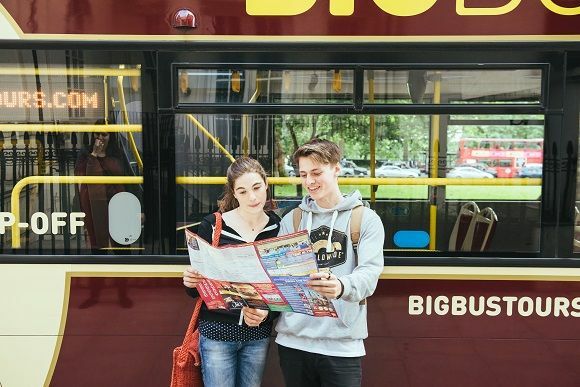 Redeem vouchers at any Big Bus hop-on, hop-off stop. 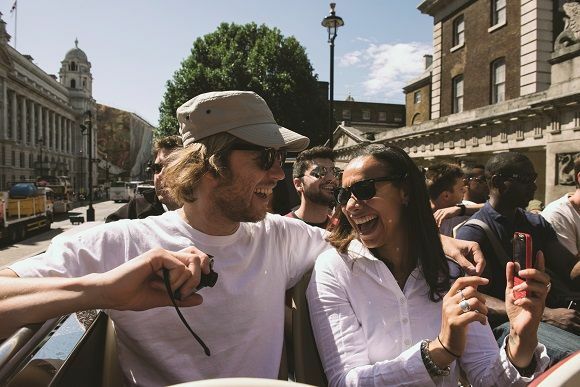 Main departure points include Green Park Station (by the Ritz), Marble Arch (by Speakers’ Corner) and Baker Street Station. Commentary: Available on Blue Route and Green Link: English, French, Spanish, Italian, Brazilian Portuguese, Polish, Arabic, Hindi, Japanese, Mandarin, and Russian.